All the rumours about Black Ops 2 have turned out to be real. 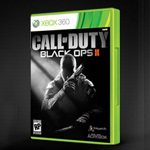 Activision is gearing up to announce the sequel to the awesome Black Ops which was released in 2010. The official website, at the time of writing this article, was filled with teasers and video boxes all around preparing for something big to reveal. Trailer has been released ! The game will be set in the near future and according to what the developers say, it will be beyond what the gamers will expect and will be set in the 21st century Cold War where weapons and tech have integrated to create a whole new generation of warfare. 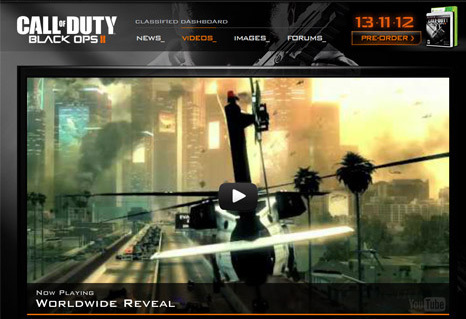 From the picture that is shown in the place of the trailer as a teaser shows a helicopter flying over a city in ruins. The first trailer will be revealed tonight during the NBA playoffs on the cable channel TNT around 9 PM EDT- May 1st. There are still no official images yet so we have to wait for the big reveal to see what exactly it’s going to offer. The game is developed by the same developers who developed the previous Black Ops, the LA based studio Treyarch. The prequel, Black Ops sold more than 25 million copies, close to sales of Infinity Ward’s Modern Warfare. 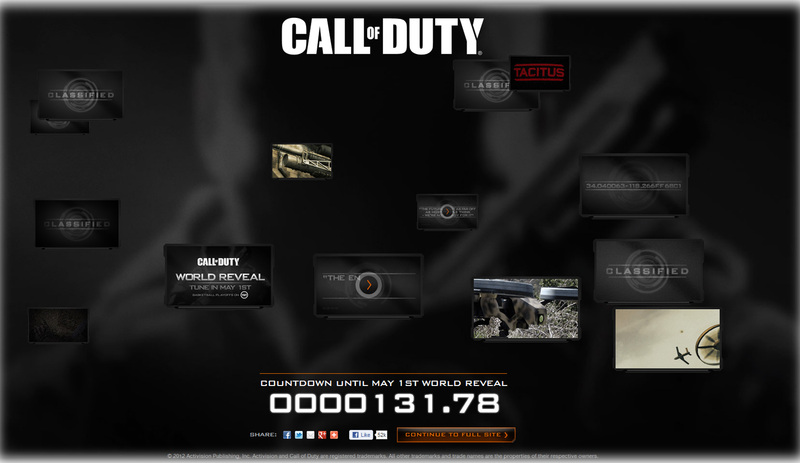 So when does Call of Duty: Black Ops 2 release ? 13 November on PC, Xbox 360 and PS3. All the unanswered questions might become clearer with the revealing of the trailer. Even a 2 minute video can give us a lot, maybe a lot, of information on what type of weapons, the environment setting, graphics, enemy AI etc will be in the next sequel. Let’s take the example of Crysis 3 latest gameplay trailer, what we know for sure the city is now a jungle with the Ceph still at large and Prophet bringing them down with the next gen weapon, the bow and arrow. Some wonder what will Prophet use in Crysis 4 ? A sword ? Anyways, for more information on Black Ops 2, we shall wait for the trailer to be released. – The Trailer is up!! COD is the best action game I have ever played. I remember I stocked up to hole in inside my room for a whole day just to play COD2! Thanks for posting this and for the great videos! Looks like a good gane to try. Have to say your screen shots are nice and clear.